The following email was left at Barbara Boxer's web site this morning (a few small typos have been corrected). On the form at the web site, they asked for a suffix, so I put "Atomic Historian." Please do not hand the nuclear robber-barons another nickel, not tomorrow, not ever! They are stealing our future, destroying our DNA. Science abhors a vacuum, but a raging particle traveling at nearly the speed of light is no better! We have not learned to control the atom in 60 years, nor will we. We cannot protect biological systems from it. We have seen the damage it does to the steel of the reactors themselves -- I'm not talking about the rust like at Davis-Besse (that's bad enough) but what about all the irradiated equipment that then fails before its time (D-B was due to an acid leak)? If radiation is so hard on any container the Department of Energy can come up with for long-term storage of radioactive waste -- and it is -- they've given up on "containment" and use "physical isolation" (in an earthquake zone, good luck) hopes and dreams instead -- then please just IMAGINE the damage ionizing radiation does to our bodies. To a single-celled organism, especially. One of us, in the first few minutes after conception, for example. Or one of our cells, that then turns cancerous. 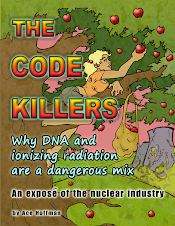 The "free-radical" damage from radiation probably far exceeds the possible direct-DNA damage, and ALL radiation is damaging. Fission products are the main output of ANY nuclear reactor. That, and propaganda. Please, Senator Boxer, don't let them produce more fission products for us to breath, eat, drink and wallow in! They've never been able to contain it nearly as well as they say they will, and a major catastrophic accident is just time away -- it is INEVITABLE with the current policy -- let alone, with ANY nuclear revival. Cancel Price-Anderson. Close San Onofre and Diablo Canyon forever today. This is NOT one small step -- it's a big one. Instead, it appears you are on the verge of giving the nuclear industry half a TRILLION dollars in government money! Enough is enough! Renewable energy can power ALL of California! Yesterday, on the tracks that run by my house, I saw a STEAM LOCOMOTIVE run by. I suppose it must have been at least a hundred years old, but there it was! I almost got the camera out in time to take a picture. People were waiting all along the tracks, and we didn't know why until suddenly it ran by, belching steam, and blowing it's whistle. It was beautiful. Old, useless, wasteful, but beautiful. That could never be said of ANYTHING produced by a nuclear power plant. It's steel -- would you want it in your child's braces? Do you want to drink their tritiated water, billions of gallons a day polluted to some tiny degree under the Environmental Protection Agency's absurdly-high, dangerously unsafe "legal" limit? The nuclear industry believes that any level under any legal limit is BY DEFINITION, SAFE. If our generation builds a new fleet of nuclear power plants it will be bad. But keeping the current ones operating is also wrong.